The incident happened on 43rd and 7th Ave around 3 p.m.
A singer caused a fan frenzy in Times Square Monday afternoon. Artist and YouTube star Queen Naija was in Times Square to promote her new EP when excited fans caused some chaos. 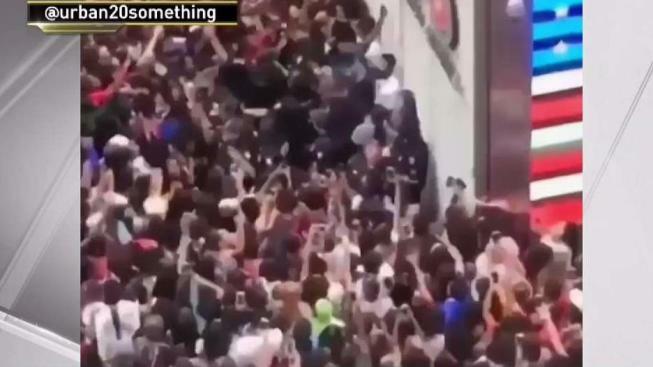 Videos posted to social media show huge crowds surrounding the singer as she is carried through the throngs of people. Other videos show masses of people running to catch a glimpse of the star. At first, people could not identify who was causing the frenzy. Some guessed it was Nicki Minaj, others guessed Kylie Jenner was in town, but Queen Naija identified herself on Instagram as the one in the video. Her Instagram post reads, "We. Just. Caused. HAVOC." It did not appear any arrests were made.